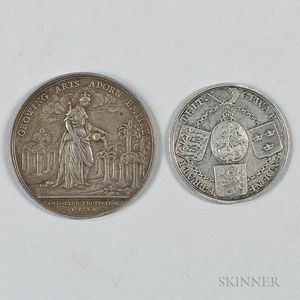 Two 18th Century Silver Medals, a Betts-169 1736 Jernegan Cistern medal, dia. 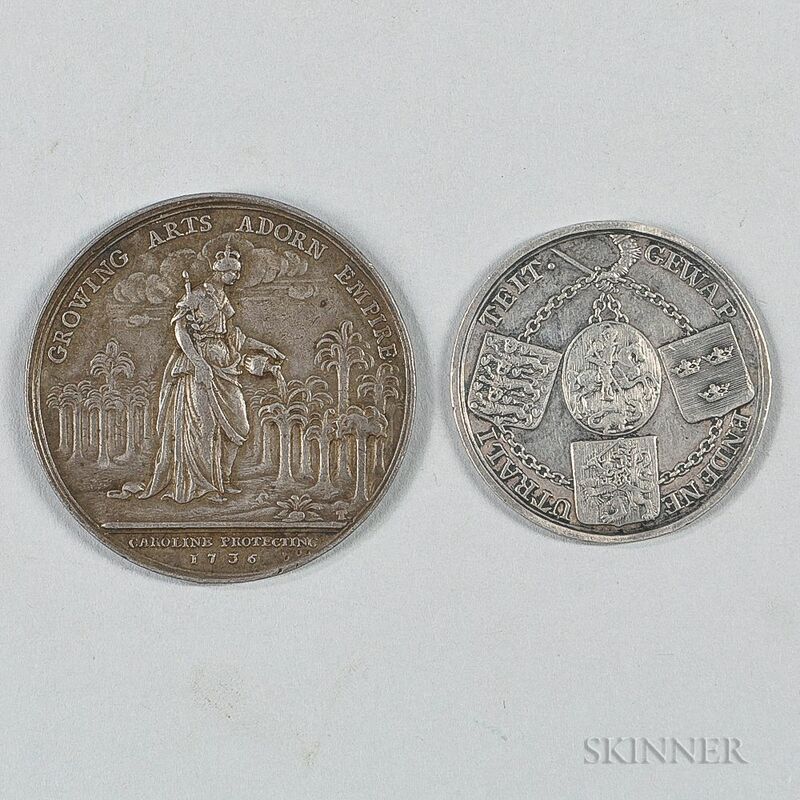 38.5 mm, and a Betts-572 1780 Treaty of Armed Neutrality medal, dia. 31.6 mm.